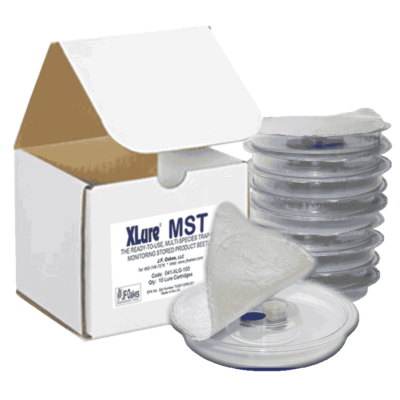 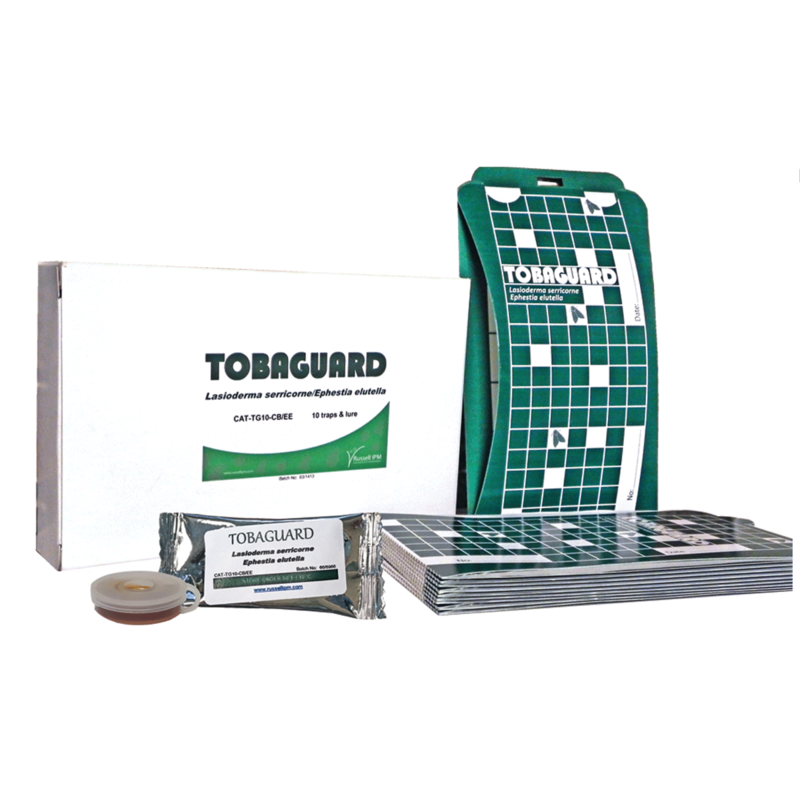 For use in food warehouses, tobacco shops, stored tobacco warehouses and drying facilities, grain storage, processing, manufacturing & transportation facilities. Tobaguard is designed to effectively monitor populations of Cigarette Beetles (Lasioderma serricorne) and Tobacco Moths (Ephestia elutella). 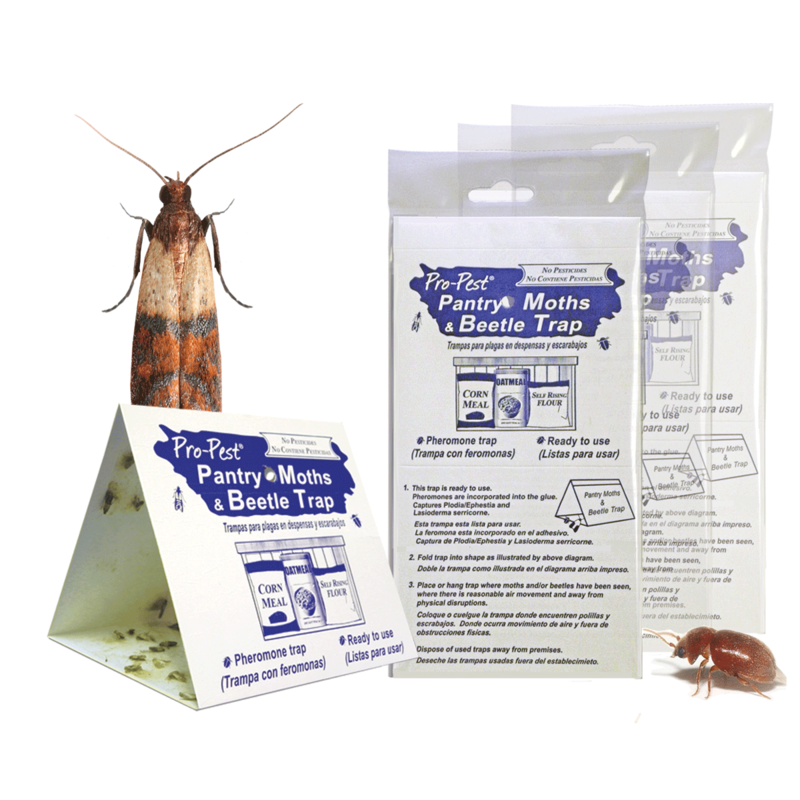 The pheromone dispensers in each kit contain two pheromones plus a powerful food lure to attract both of these destructive insects of tobacco. 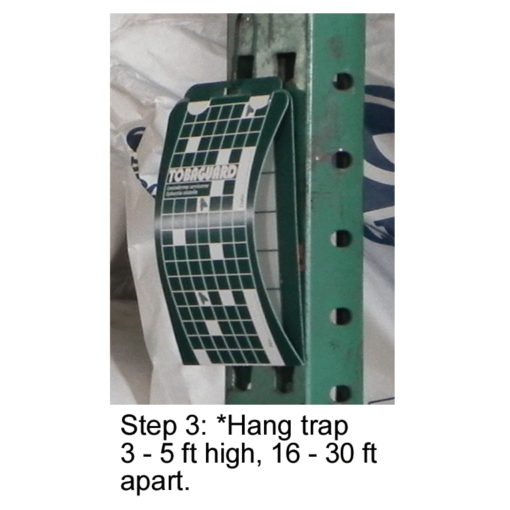 Traps can be used in food warehouses, tobacco shops, stored tobacco, dried fruit, grain storage, processing, manufacturing and transporting facilities. 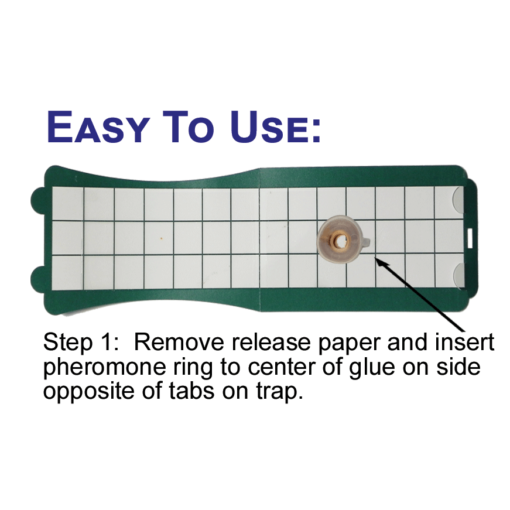 Remove release paper and insert pheromone dispenser ring in center of glue on side opposite of tabs on end of trap. 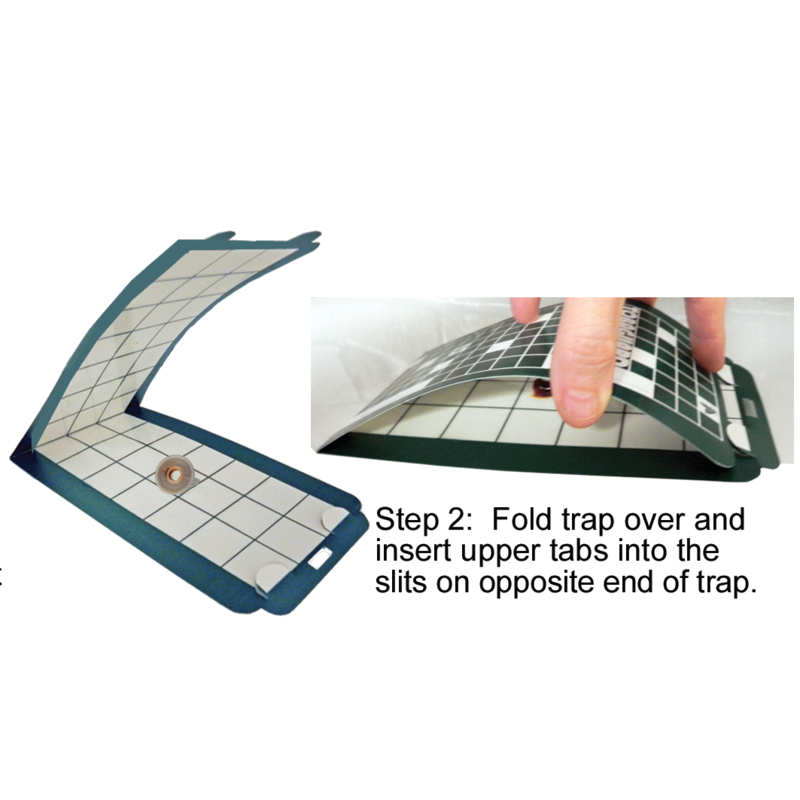 Fold trap over and insert upper tabs into the slits on opposite end of the trap. Hang trap 5 – 6 ft high, 15 – 25 ft apart.